Is too much time spent on Facebook? You wish to block Facebook website for your children or employees. 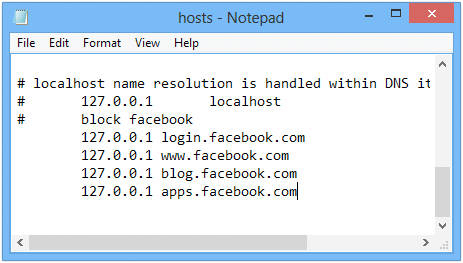 Read this article to find 3 ways how to block Facebook on your computer suitable for all versions of Windows - Windows 10, 8 and 7. 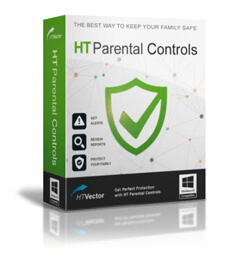 The best way to block the Facebook website with no chance of being bypassed is to use special software such as HT Employee Monitor for business or HT Parental Controls for home that allows you to block Facebook simply and reliably and has many useful features. 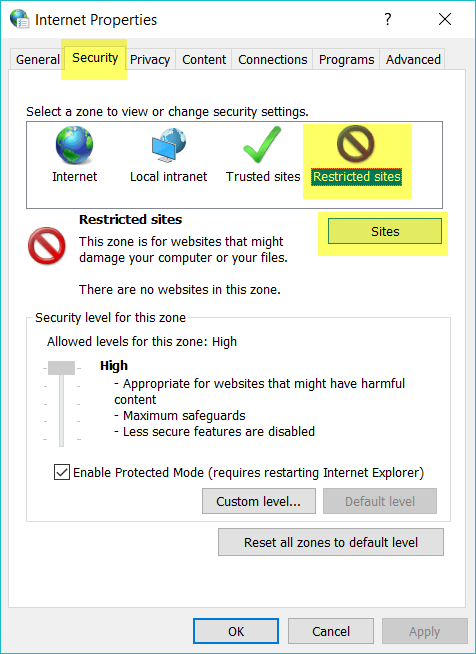 With the software, you can block any website in a few clicks on all popular browsers and all Windows versions. Click Facebook on the list and select Block. Now the Facebook website is blocked for your users. The specific websites will not be allowed or will be limited based on your settings by the amount of time users can spend on it or by a schedule. If someone tries accessing the websites, he will get an empty page. Monitor visited websites, launched programs, screenshots, computer time, etc. Block unwanted websites in up to 10 categories - Adult Content, Gambling, Violence, Drugs, etc. Click Internet Options > Security. On the Security tab, click Restricted Sites and then the Site button under. Enter facebook.com and click Add. Note! 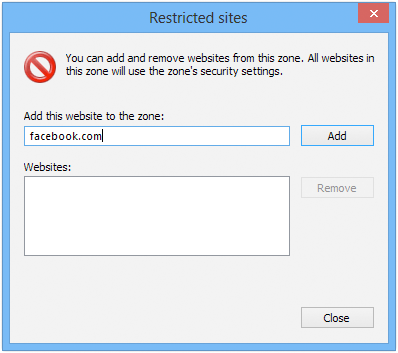 The method is suitable for Internet Explorer only and cannot block Facebook on other browsers. The host file is a Windows service file which is also used by some browsers. The location of the hosts file depends on your operating system. Paste it into the Hosts file after 127.0.0.1 localhost. One more way to block Facebook is to use a While List. What is it? White List filtration is the most strict but the most effective and productive kind of blocking at the same time. You can forbid all websites and permit only those which are necessary for work or study. For example, Wikipedia, the school website, e-libraries, etc. They can be easily bypassed. A user will look for ways to bypass your ban and quickly learn about anonymizers. He can access an anonymizer, enter needed URL and the anonymizer forwards the request to the forbidden website on its behalf. The problem is that you can block all thousands of anonymizers. Launching another browser or changing the hosts file in the same way it was set is also enough to visit a banned website. They block only specific page of the site. One more shortcoming of these methods is that they block only one specified page of the website. So for facebook.com it will be just the main page while others will be available. They may not work correctly on your computer. Many people complain that they have difficulties installing the ban. Many complain that even after the ban has been properly set, nothing happens - the banned websites can be opened as if they had not been banned. It's a real lottery in some cases. What to do to avoid these disadvantages and block Facebook reliably. 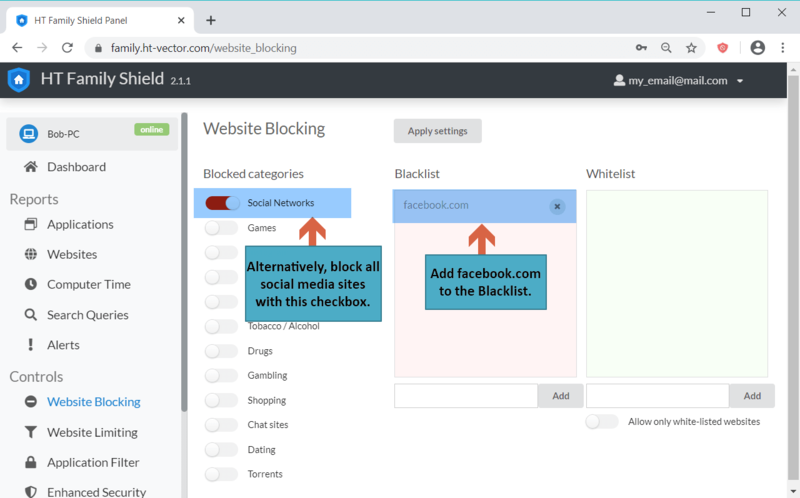 Use our blocking software that allows blocking unsuitable sites despite anonymizers and proxy servers, supports all popular browsers and Windows versions. 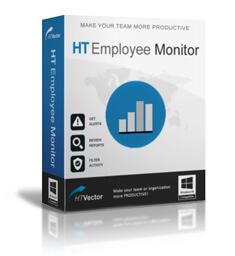 Use HT Employee Monitor for business which allows you to block unwanted websites and increase employee productivity and HT Parental Controls for home which helps you to make the Internet safe for your children. Try all methods and choose the method most suitable for you.